Above:I first saw these at Sock Camp: Slipped Stitch Studios genius pattern holders and magnetic pattern markers work together to keep your patterns protected while keeping your place. Seabreeze Studio: Cutie cupcakes and macarons! 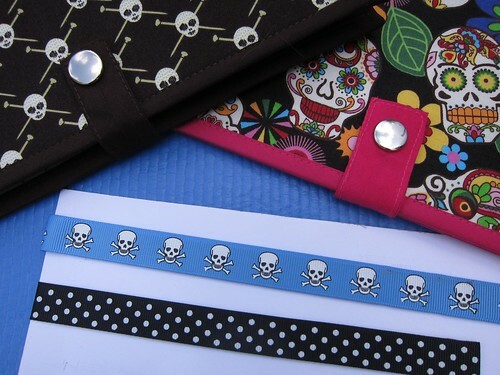 Slipped Stitch Studio: Also has pirate project bags.